This collection is not EVERY staff member from the early 70's, but many of them. If you're a staff member from those early years, and your photo is not here, please send me an email, so I can add you. 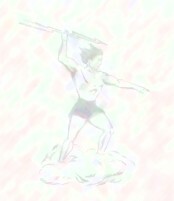 *Reflections of THS memories are from the 1974 20th Reunion Titan-Ex or from recent correspondence as noted. If you're listed below without any reflections of your THS days noted, and would like to have your best and worst memories, and/or what you're doing now, how long you taught at THS, etc... added to this page, just send what you'd like to have posted to me! Mrs. Bagby says she loved her years at Towers. "Those were really special years for the teachers because we were such a close group. My daughter, who was born while I was at Towers is getting married this summer  and my son is graduating from college. Time certainly flies!" Anne Bagby is an independent artist and her prints are found in many stores. She conducts artist workshops and she displays her original paintings at art shows. See Anne Bagby and her art at http://www.annebagby.com/ . Once on her web page, click on each art display to see more examples of her talented artwork. Click Coach Braswell's name to see a photo of him from 2003. Scott Butler retired as Principal from DeKalb County's Tucker High School in June 2006 after working 40 years in education. Ms. Cauthen is currently living in Florida. Click Helen's name to see a photo of her from 2004. Ms. Chilton's best memories of Towers were the faculty sign painting parties at her condo clubhouse. Her worst memory was having homeroom in Scott Butler's classroom. She says his desk was always filled with newspapers and extra sports' sections. Ms. Chilton said there was NEVER a pencil and BILL GEORGE was ALWAYS late to class! Currently, Helen is enjoying retirement more than ever. She stays BUSY teaching Bible studies at her church and going to BSF. She enjoys her grandchildren and being at home to work in the yard. Helen says, "I'm loving keeping up with my THS Faculty friends who have retired and encouraging those who are still there." Mrs. Eley spent 22 years at Towers and retired from teaching after 30 years. After retiring, she said she missed the faculty and she wasn't very fond of bus duty. Her favorite extra duty was working in the attendance office. "My memories of Towers are so varied and in such abundance that it is difficult to single out a best and worst. However, I would be remiss if I did not include the 1975 National Association of Student Councils Conference that we hosted at Towers High School in June, 1975. The years leading up to that event and the time we shared with 1500 people from across the nation were some of the best times at Towers. With the encouragement of the principal, Ellison Smith, student Scott Burch offered Towers as the host site for the 1975 conference. Mary Leatherbery led a team of 13 student chairs and 13 faculty and parent committee co-chairs as we prepared for that big event. I am still associated with NASC, and many people still tell me that it was their favorite conference. We demonstrated true Southern Hospitality and made friends for life for Towers. All of the years that I was at Towers (and still now under Beth Williams as advisor), Towers has been a leader in the state and nation in providing student leaders with opportunities to develop as leaders. That was my biggest reward for 36 years at Towers. I don't have many bad memories of Towers. Personally, my worst memory is of falling in the cafeteria decorating myself with my lunch. For Towers, the worst memory is of the negative reaction to Homecoming in the late seventies that brought the only racial tense moments I can remember. Perhaps, the other worst memory is of the no win football season in the late 60's we had under Football Captain Joe Fowler. Only because of his outstanding character and leadership was the team and the school able to survive what might have been a real depressing season." Marci Jordan taught Spanish at Towers for 2-3 years. The last year she taught at THS was '78-'79, and in 1979 she and her family moved to Texas. At that time, Mrs. Jordan changed careers and worked in hotel HR management for several years. In 1985, she returned to the classroom and taught high school Spanish for another 26 years; she retired last year (2011). During her years of teaching in Texas, she had one student who would later gain fame for racing his bicycle--Lance Armstrong. Lance was a nice guy, but not as focused on his studies as he was on training. Obviously, it paid off for him! Her memories of THS are good ones; she remembers many of her students from those days by name. Teaching back then, when the "technology" consisted of tape-recorded Spanish songs and an occasional filmstrip, was a simpler time. She felt that the kids cared more about doing well in school, and they were more respectful to (and appreciative of) their teachers. Favorite memory: sponsoring Spanish Club activities, mentoring new Spanish teachers, and the crazy antics of her teenage students. Ms. Lee enjoyed spirit week and Friday afternoon pep rallies. Her worst memory is of her first year teaching, "The kids were awful, I was awful, and the year was awful." Ms. Lee recently retired from the Decatur School System in 2006. Mrs. Little says her best memory of Towers was a tie between the many fine students who were in her classes and the great faculty who shared so much camaraderie. She especially enjoyed taking her classes on field trips to the Capitol. Her worst memory is bus duty. "My fondest memory of Towers was working with Pat Warthan when we team-taught an Earth-Science/World Geography course. It proved to be a great success and I learned a great deal from her outstanding teaching. I am now teaching in San Antonio, Texas at Douglas MacArthur High School and San Antonio College. Looking at the pictures of my former colleagues really brings back some wonderful memories. I wish them the best in whatever they are doing." Tony will be participating in the AP Government Reading program at Colorado State University this summer . He's been a reader for the past ten years and he's really enjoyed the experience. Tony will be teaching at a community college in San Antonio this summer, also. In between classes he'll relax and enjoy the summer. Tony's third grandson was born on May the 11th in Atlanta: Garrett Holden Magnon (eight pounds four ounces), and he hopes all is well in Atlanta! Mr. Meagher has many fond memories of Towers... the faculty boat cruise to the Bahamas stands out as one. The only bad thing he can recall about Towers was BUS DUTY! He taught at THS for 5 years and one of his most enjoyable memories was working with such excellent students (like the Class of 1974) and the excellent faculty. He misses the staff camaraderie and the bowling league. Oh, another least favorite memory was "potty patrol". Charlie Meagher retired from education in August 2006. He left Towers to teach at Lithonia High, then moved to assistant principalship at Cedar Grove High, South Gwinnett High, and Parkview High, then moved to principalship of Summerour Middle Shool and then Norcross High School. He was the Director of Athletics for Gwinnett County High Schools and the Coordinator of Community Schools for Gwinnett County at the time of his retirement. "DeKalb County coaching legend Lee Medwick announced his retirement after 30 years leading the Towers Titans. The Titans won a state title in 1975 under the leadership of Medwick and also shared the county crowns with Tucker in 1993 and 1995." Our unconfirmed information tells us that Ms. Morgan is a missionary for the Grace United Methodist Church on Ponce de Leon Ave. in Atlanta. Mrs. O'Barr worked at THS for 13 years and in education for 18. She enjoyed the students and the teachers. Mrs. O'Barr hated library inventory and working in the attendance office. Ms. Partridge enjoyed the faculty skits in the pep rallies and her 4th period planning during 1973-74. She's been a middle school counselor for the past 13 years and retired in June 2002, but is currently working parttime at Shamrock Middle School. He is Athletic Director and part -time English teacher for West Carroll Special School District in Atwood, Tennessee. He spent 7 years at THS and his worst memories include being the gymnastic coach. Coach Pendergrass reported the THS kids had to teach him what he was supposed to teach them. His favorite duties revolved around coaching football and track. Coach Pendergrass misses the students' and players' spirit and enthusiasm. Coach Pierce says his best memory is of the great faculty and students. Mr. Porter retired from education after 30 years. Eight of those years were spent at Towers. His favorite extra duty was working with the swim team and he misses the students and faculty. "I never had students who were harder-working or that I liked more than the ones that I had at Towers. As I think back, my best years of teaching and coaching were at Towers. I never have been on a faculty that was as close and had so much fun together - from parties (Oh, the parties!) to the Faculty Bowling League." Dan Rawlins is currently teaching in Gwinnett County. Click here for an AJC news article on Dan. Ms. Re' spent 29 years teaching at Towers and is retired. She enjoyed working with brand new teachers at THS and misses her friends. She enjoys walks on the beach and traveling with her friends today. Mr. Rushlow's best memories at Towers are the wrestling tournaments and his worst memories are from his basic science class. Mrs. Shreder taught at Towers from 1970-1975 and has great memories of the faculty and students at Towers. She enjoyed coaching basketball and gymnastics, and sponsoring the yearbook and drama clubs. She misses the camaraderie of the staff members. Mr. Smith was principal of Towers for 4 years and recalls that working with the staff and students was wonderful. One of his best memories is of the National Student Council Convention. Mr. Smith and his wife have done missionary work in a Christian kindergarten in Iclod, Romania and have continued to do mission work after his retirement as Superintendent from a school system in South Carolina. Click on Mr. Smith's name to see him in 2004. Mr. Smith started out at Lithonia High School and transferred to Towers in l968. He retired after 30 years in the classroom. He and his wife moved to Europe in 1990 and are currently still there. They enjoy traveling and visiting with friends. One of the things Mr. Smith misses the most about teaching is not seeing his students around town. Click John Snoderly's name to view a photo of him in 2003. Coach Snoderly spent 11 years at THS and retired from education after 40 years. He enjoys traveling (Japan, Hong Kong, Coronado and San Diego CA, Boston MA, Newport RI, Charleston SC), camping in the North Georgia mountains, and spending time with his SIX grandkids. John underwent open heart surgery in December of 2001 and has recuperated rapidly. He continues to enjoy his retirement and looks forward to resuming golf soon! 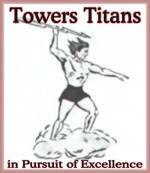 He fondly recalls, "DO OR DIE FOR TOWERS HIGH!" "The lord has blessed me and I have much to be thankful for. And I have many fond rememberances of my days at Towers and the wonderful students and teachers I knew there." Mrs. Spence Dershimer retired from education after 31 years, with 6 of those years being at Towers. She thinks her best years of teaching were at THS. Mrs. Spence Dershimer says the school was the best in the county at the time, many of her co-workers were around her age, and everyone felt a great deal of PRIDE in the school. She enjoyed sponsoring the yearbook. Dr. Stegall's best memories of Towers is of all the great boys and girls that he taught and coached. He says this was the same type community he came from and it was special. His worst memory was leaving. "I actually retired from DeKalb County in 1998 as Executive Director of Personnel. I spent 38 years in DeKalb, 8 of which were at Towers (1963-71). Those years at Towers were great! In addition to coaching and teaching I worked in the Attendance Office checking on AWOLs, otherwise known as skippers. That was wonderful training for my later years in administration. I currently work at MRESA which is a service agency for twelve metro area school systems, including DeKalb. I also do private consulting in human resources with various school systems in Georgia. Mrs. Townsend taught at Towers for 12 years. She enjoyed teaching class, working with the math team and Kappa Club. She misses the students and staff. "I have been teaching at Georgia Perimeter College, formerly DeKalb College since 1986. This is my 30th year of full-time teaching with 7 years of part-time at Fernbank Science Center and DeKalb College. I am planning to retire in August of this year. The years at THS were the BEST! My memories of the students and faculty there are wonderful. I am now teaching a former student from THS in math modeling (Reida Blakeney McCutcheon) and she has passed along information and e-mails from other students. We are building a house on our farm in Wildwood, Georgia (near Chattanooga) and will move there sometime during the late summer or fall." Ms. Venable remembers the outstanding student, Andy Barfield, and the great faculty she hated to have to leave. Ms. Wartham says her best memory is when an annual was dedicated to her. Coach Watkins' best memories include when the 1971 yearbook was dedicated to him and winning Area Wrestling Championships. He is currently (2003) working for the County Office Testing Department in DeKalb County. Ms. Brenda Wilson taught 8th and 9th grade English during the 1970-1971 school year. She currently teaches elementary school in Cobb County. Ms. Sue Wilson says she remembers the ALL AMERICAN kids that comprised the school: smart, willing, active, and interesting in learning. She enjoyed working with the Debate Team and taking classes to plays. Her worst memories were the pep rallies! Click Frank's name to see a photo of him in 2003. "Among many fine memories of 23 years at Towers are the first time we beat Avondale in football, winning the state wrestling championship tournament held at THS, winning the region track championship in 1984, and hosting the national student council convention. My worst memories are of losing the region football championships in '73 and '74." It is with a heavy heart that I have to post that Coach Frank Yancey passed away on August 1, 2005, after fighting the battle of his life throughout the past year or so. He had been diagnosed with lung cancer, on top of going through weekly dialysis, and he dealt with the effects of a major stroke. Frank was later diagnosed with another serious cancer that had spread.... and chemo was stopped. Web page COPYRIGHT � 2009 by KGDean.